The Group Travel Organisers Association (GTOA), celebrating its 25th anniversary in 2016, has a new name and logo. 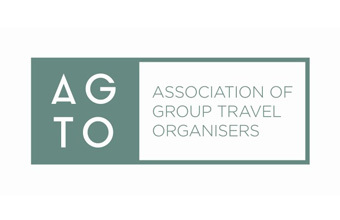 Unveiled at the GTOA AGM in Northampton, the new look includes a name change for the organisation to the Association of Group Travel Organisers (AGTO). Developed in conjunction with leading travel communications agency, Designate, the new style logo aims to bring a fresher, more modern look to the organisation's print and digital marketing materials. Mike Bugsgang, Chief Executive of AGTO said: "We are really excited about the new visual identity. The aim is to encourage new members to consider joining by projecting a more contemporary image that better reflects the offer of the Association. It articulates a confident and professional tone of voice that speaks to potential members demonstrating that AGTO is a worthwhile organisation to join. The new design will also show existing members that the Association is changing and moving forward." The new logo will be gradually incorporated in to AGTO's communications materials during the coming months. The Association of Group Travel Organisers provides group organisers and suppliers to the groups travel market with a range of benefits and a forum to debate and exchange views, expertise and opinion through Branch meetings, conferences and its national newsletter.